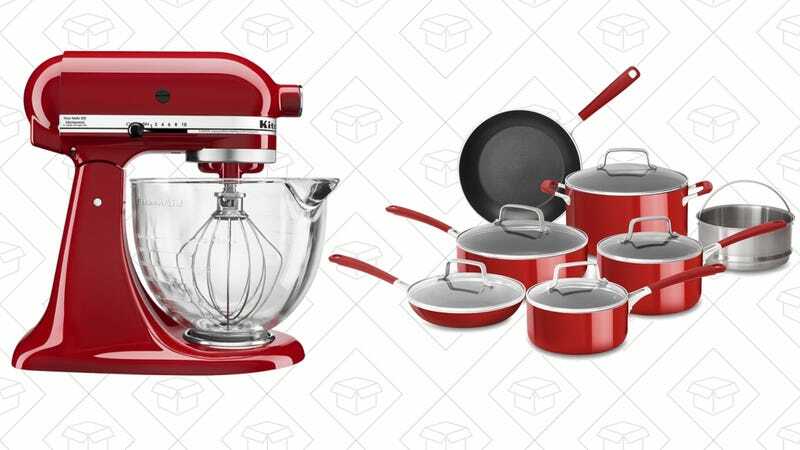 Upgrade your kitchen with a deal on the KitchenAid Tilt-Head Stand Mixer at Best Buy or a 12-piece nonstick aluminum cookware set from Amazon. Or, if your cookware collection consists mostly of of warped $10 Walmart pans, it’s time to upgrade. 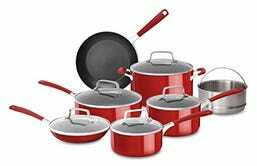 Amazon currently has a 12-piece nonstick aluminum cookware set from KitchenAid on sale for $110, today only. It may not be tri-ply, but it’ll definitely help make your food a little more professional-looking.